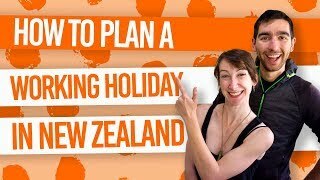 Activities you have to try in Reefton! Reefton is an intriguing town. This hidden gem of a town in the South Island holds significant history, plus it just happens to be an adventure playground! For sure, you’ll find plenty of things to do in Reefton. Known as the Town of Light, Reefton was the first town in the Southern Hemisphere to have electricity. It was also the fifth settlement in the world to distribute electricity to the public! Who would have thought?! With that, there’s lots of historical gems to snap up in town from the very first lightbulb lit by electricity to the powerhouse that made it all possible. Reefton also went by another name back in the day, Quartzopolis, named due to its huge gold mining industry. Even today you can pan for gold in the rivers yourself or talk to The Bearded Miners. The best thing of all is that you can discover a balance of history and nature by mountain biking the crazy amount of tracks on offer here, or along the rivers for white water rafting and fishing. Of course, going to a lookout is nothing new in New Zealand, but when there’s the option to ride down a mountain bike track then that makes it all the better! The Lookout Track is a steady gradient up to a cellphone tower opening that just happens to have amazing views over Reefton and its surrounding mountains. Whether you come up here by foot or by bike, we suggest you make this the first thing you do in town to really give you perspective. From the Lookout follow the 4×4 tracks to the signposted Zigzag Track for a varied rocky and gravel descent back into Reefton town. Find out more at Mountain Biking in Reefton. Location: Start from Reefton on State Highway 7 to Greymouth for a few hundred metres then turn up Soldiers Road where the Lookout Track is signposted on the left hand side. You will return back into town. 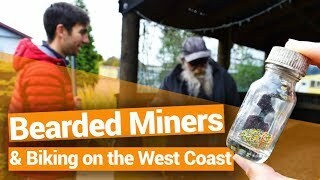 A cheap activity to do in Reefton is visit The Bearded Miners. Entry by donation allows you to check out the relics of Reefton’s mining days, while chatting to a “bearded miner” about the different rocks, precious metals and gold found in the area. Find out what rocks to look out for on your next hike to find a precious stone. Plus, they’ll show you how to pan for gold! This is an as authentic Kiwi experience as you can get! 3. Trout fishing in 12 nearby rivers! Reefton might have a reputation for mountain biking but the town also draws keen fishers every year! There are 12 rivers and a lake to choose from with the Waitahu and Larry’s Creek being very popular. The Inangahua River flowing through Reefton is the easiest to access with a good population of trout. You could even go on a hiking mission to Lake Daniels, which is an easy three hour (one way) hike with a DOC hut at the end for overnight stays. Hire fishing gear from the Reefton Sports Centre. There are also a couple of guides in town who can teach you some fishing skills. Get more information on fishing licenses at What You Need to Know About Fishing in New Zealand. Location: Take your pick of rivers! 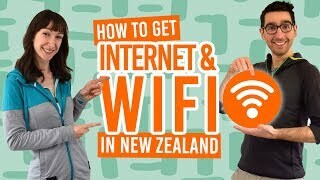 Ask at the i-SITE, the Reefton Sports Centre on Broadway, or the Old Breadshop Backpackers for advice! 4. See the first light powered by electricity in the Southern Hemisphere! Not only can you check out the original street lamps of the town still standing (although not in use), but the first light that was powered by electricity in 1888 on the street stills shines brightly on the Oddfellows Hall. Go see the light after dark to see a piece of history. On the subject of electricity, go to the powerhouse that made Reefton the fifth settlement in the world to distribute power to the public. The Old Powerhouse can be seen along the Bottled Lightning Powerhouse Walk (40-minute loop) and is easily accessible from town. Information boards at the the Old Powerhouse will give you more information about its history. Location: Access the Old Powerhouse by either crossing the swingbridge from State Highway 7 towards Christcurch just as you exit Reefton or cross the bridge at the other end of town and back along the Rosston Road/the Bottled Lightning Powerhouse Walk until you reach the Old Powerhouse. Reefton has a rich gold mining history and there is still some gold to be found in the rivers. A popular place to try your luck is Slab Hut Creek. Gold pans are available to buy at the Reefton Sports Centre (only around NZ$10 for a large gold pan or NZ$6 for a small pan). Slab Hut Creek is also a Department of Conservation campground. Location: 10 km south of Reefton. Just off State Highway 7 south of Reefton, turn down the gravel Slab Hut Creek Road. The biggest testimony in Reefton’s gold rush era has to be at Big River. You can only access this area at 670 metres above sea level by hiking, mountain biking or grabbing a local to take you on the 4×4 track. Explore water races, a poppet head, steam-winding engines that lowered gold up the mineshafts, and the Big River dam. You can also get some great views of the surrounding mountain ranges. Check out Mountain Biking in Reefton for more details. Location: 25km south of Reefton. From Reefton, take State Highway 7 towards Greymouth then turn onto Soldeirs Road. Follow the road where the Big River sign will point you left onto a 4×4 track up to Big River. At Big River you can stay overnight in the hut. It doesn’t have to be all about mountain biking in Reefton. Use your two legs to get you around the Reefton Walkway! (Or do this track by bike to get around in 15 minutes). The walk goes steeply and quickly to a great view overlooking Reefton. Walk back via Bridge Street to see historical sights like the Court House and Oddfellows Hall (see above). Location: Start just outside of town on State Highway 7 towards Christchurch. The walk ends on Bridge Street. The colourful array of buildings with a mining meets “Wild West” themes, Reefton is a town to be explored! Pick up a town map from the i-SITE and work your way to the various points of interest, from the “School of Mines” to a “Typical Workers Cottage”. Take a white water rafting tour from Reefton out into the wilderness of the West Coast. The Grey River provides grade 3 rapids with these trips boasting adventure in the pure wilderness all day long. For more rafting options, see 7 Places to go White Water Rafting in New Zealand. Location: Pick up from Reefton or Ikamatua. The Reefton Roller Park is worth mentioning purely because it is regarded at one, if not the, best skate park in New Zealand! So if you are travelling with you board or skates, get yourself here! The township just before entering Reefton on State Highway 7 is the starting point to a number or hiking and biking tracks. From the Murray Creek car park, take the Murray Creek Track (2h20mins return) to some old mining sites with views of open cast mines. There’s also Murray Creek to the Machine Track loop (4h30mins) taking in that of the Murray Creek Track, as well as the Inglewood and Ajax Mines. The historic cinema established in 1951 has been newly refurbished for your movie-viewing pleasure. 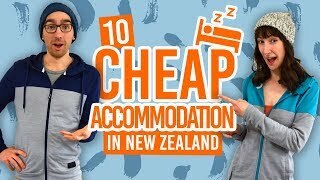 Watch recent blockbusters at backpacker prices (usually around NZ$13.50 a ticket). Location: Shaw Street, just off Broadway, Reefton. A classic townie thing to do, having a coffee is pretty special in Reefton inside the cafes’ historical buildings. Broadway Cafe & Tearooms do some mean hot chocolates. Location: All over town (but most cafes are on Broadway). We’re not joking when we say there is a hell of a lot of mountain biking to be done around Reefton, from short and easy tracks to the multi-day challenges. 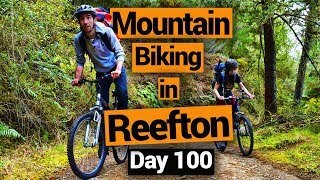 Just check out Mountain Biking in Reefton for a full guide. Get all the trails at our guide to Mountain Biking in Reefton. Location: All over Reefton and beyond!